Do not wait, Book your Taxi driver Bercy station awaits! In case of need, refer to our guide available below! By clicking the "Book Now" at the top of this page you can access our free quote page, an online simulator allowing you to enter your starting point, the desired finish, select each desired option and get immediately the price to be paid for this race. Where you will be asked, you only have to enter your information such as your name, telephone, ... to facilitate your next booking online via our website. It'll just adjust your racing line or select the payment option in the vehicle according to your preferences. Online payment allows you to save a non-negligible gain time at your arrival. The regulation board is for you if you are not accustomed to online payment. Our payment platform is secured by the major banks. 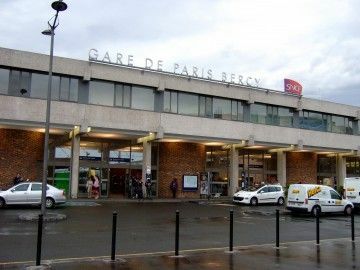 Book Taxi Gare de Bercy was established with the objective to offer a service both very available, of high quality, while remaining accessible. Our prices start at € 15 Therefore, our drivers are all trained individually and our carefully selected and prepared vehicles for you. For this, it is very simple! Refer to the guide available in three steps above and click "Book Now"! Our drivers directly follow the progress of your train, allowing them to be present at your arrival, even in case of delays or unforeseen advance, and all this at no extra cost!